ZIMBABWE – With serious infighting in the ruling Zanu PF party and instability in other major political parties in Zimbabwe, some political analysts and ordinary people believe that former Vice President Joice Mujuru and her Zimbabwe People First party stand a better chance of the winning the next elections in 2018. But others say her Zanu PF past will seriously dent her chances of removing President Mugabe from power. Several political parties and ordinary Zimbabweans are backing Mrs. Mujuru and her grouping in an attempt to wrestle power from Zanu PF, which has ruled the country since independence from British rule in 1980. They say instability in major political parties and the two factions of the Movement for Democratic Change present her a clear chance to claim power in her first poll outside the ruling party. Great Zimbabwe media lecturer, Golden Maunganidze, says Zimbabwe People First is attracting huge crowds in Masvingo province and stands a better chance of doing well in the forthcoming general elections. He adds that chances are high that disgruntled people from other political parties will join her when she eventually launches her political party. Independent political commentator, Blessing Vava, also believes that Mrs. Mujuru will do well in the next crucial elections. But others like former Zanu PF lawmaker, Temba Mliswa, who was expelled from Zanu PF at the same time with Mrs. Mujuru thinks that she would have a tough time to market herself given her strong links to Zanu PF. Independent political commentator, Vivid Gwede, concurs, noting that only those people that resigned from Zanu PF stand a better chance of doing well in elections. 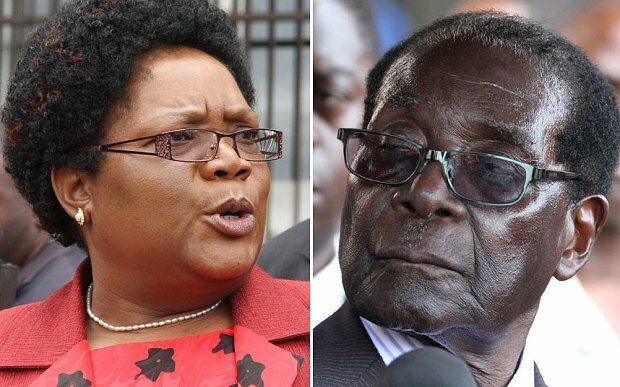 Zimbabwe Democracy Institute director, Pedzisai Ruhanya, cautions against seeing Mrs. Mujuru as a Messiah saying people should learn from the 2008 elections in which Mavambo Kusile Dawn Party leader Simba Makoni, despite high expectations, came third after Tsvangirai and Mugabe. He said the best for way for the opposition is a coalition. In her clearest signal that she is ready to participate in elections, Mrs. Mujuru registered her party with the Zimbabwe Electoral Commission last Friday though the party is yet to be officially launched.